Discussions about street trees often focus on the roots of a tree. Streets Ahead have condemned many trees because of the nature of the roots, some people believe that tree roots may be damaging their property. 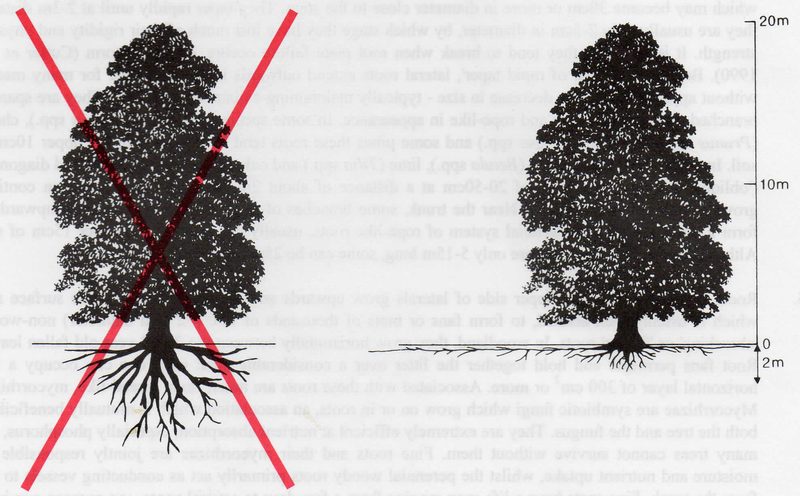 This detailed paper by Martin Dobson, of the Arboricultural Advisory and Information Service, describes the nature of tree roots in a very helpful and accessible way.